Microcap Millionaires Review - How Good Is Matt Morris's Service? Trading small-cap stocks also known as penny stocks can be very lucrative thanks to the volatility of the market and low price you pay per share. Not to mention the low startup capital needed. What is more, if you have the experience, you can make substantial returns quite often in just a very short period of time. Unfortunately, microcap stocks are notorious for attracting scam artists and, therefore, its pretty easy to fall for a raw deal. So, if you’re looking to get started trading penny stocks and would like to increase your odds of success, the popular Microcap Millionaires investment service by Matt Morris may be just what you need. The service claims to provide advice on the best practices of trading microcap stocks. But is it worth all the hype? Sometimes a simple review is all it takes to unearth the truth and here’s one such. What Exactly is Microcap Millionaires? Simply put, this is a subscription-based stock picking service designed for anyone interested in trading microcap stocks. Started back in 2008, the company has been in existence for close to a decade. Today, it has thousands of subscribers. This confirms the fact that this service is trusted by many. Ultimately, the goal of the program is to provide traders a leg up in the penny stock world by teaching them the skills needed to excel. Through online newsletter format, Microcap subscribers usually get alerts on the top penny stocks to buy and sell every week. The top picks are chosen using Matt’s extensive trading experience in penny stocks to ensure you get the best returns and in the shortest amount of time. Unlike other services of its kind, Microcap Millionaires is designed with all levels of traders in mind including intermediate and seasoned traders. However, beginners will benefit a lot more as it covers so many basics of penny stock trading. For instance, as a beginner, you will learn how to observe the market objectively, ways to get exposed to price fluctuations and how to come up with successful trade plans. Additionally, the service is created for people with a small trading account and would like to grow it into something much bigger. Traders, who also don’t have the time to stay in front of their screen all day watching stock movement, will benefit from the service but most especially those with day jobs. This is because Matt usually does all the work for you so you really don’t need to stay online the whole day. Who is Behind the Company? 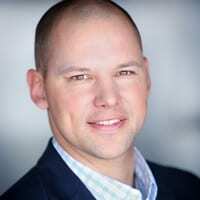 The company was founded by Matt Morris after discovering that he had a real talent for finding profitable microcap stocks. After continuously making big returns trading penny stocks for a couple of years, he decided to create the service in order to help people who did not have so much knowledge in trading stocks. In this newsletter, he teaches you how to pick the right stocks on your own. Matt has documented his success and claims to be happy when he has a part in helping other traders hit big wins. When you sign up for the Microcap Millionaires service, you will receive weekly stock picks via email that has the potential to help you make big winnings. The picks include short, medium and long-term stocks to buy or sell which makes the program perfect for short and long-term investors. In addition, Matt will tell you when to buy or sell and at what specific price. Basically, weekly picks are designed to take the guesswork out of the equation. The product also features a private members’ forum where subscribers can chat with other like-minded traders. This is a feature that only a few stock picking newsletters include. 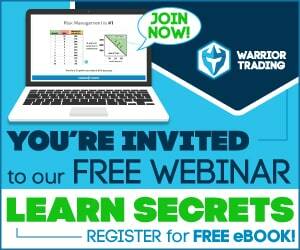 Here, beginner traders will get to learn more trading strategies from seasoned traders. In addition, through the forum, you will get more picks from fellow members to choose from. While sometimes picks from other traders are as good as or even better than those from Matt, you need to be extra careful. What is more, the forum provides a great platform where you can have all your questions answered as fast as possible. Another great feature of this service is the fact that for each stock Matt recommends, it is usually accompanied by technical analysis detailing how he reached to the decision. This analysis includes different reasons why Matt picked the specific stock which gives you more confidence in his weekly picks. On top of that, you will see the process behind the selection of the penny stocks. Therefore, should you decide to go it alone, you will have an easy time. In addition to the weekly picks, the platform offers a watch list of different stocks with a potential of being profitable. This is designed to give you an idea of what stocks may be next as well as those to avoid so you don’t make losses. The founder of the platform provides you with a wide array of educational resources to help you learn more about trading microcap stocks. These include plenty of detailed and informative videos covering the different strategies Matt uses to make his stock picks. The videos also cover basic topics such as money management, technical analysis, and resistance. Also included are lots of downloadable reports containing similar information found in the videos to help you learn how and why Matt picks the stocks he does. 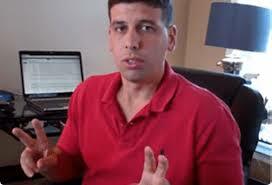 According to Matt Morris, you will get immediate access to Penny Stock Strategy guide once you enroll in the program. The course is only available in the members’ area and contains valuable information about trading small cap stocks. It also includes more tips and advice that both beginner and seasoned investors are going to find helpful. As if that’s not enough, you will get around 50% off when you join the service before the summer sale offer is over. Therefore, rather than paying a monthly subscription of $97, you will only pay a monthly rate of $49 but still enjoy all the perks of the $97 monthly rate. As a member of Microcap Millionaires, you are guaranteed to receive newsletters detailing Matt’s latest picks via your e-mail. Apparently, Matt normally conducts an in-depth research on different stocks before making a decision based on his intuition, findings, and experience as a microcap trader. The newsletter includes a summary of all the important information you need in order to trade successfully. In addition, it provides you with the specific stock entry and exit points via alerts so you don’t resort to any guesswork. Normally, when all subscribers receive the email alerts on what stocks to trade and then take immediate action, the prices end up shooting up by around 20%. As such, they end up making substantial gains. On the other hand, by exiting the trade, the prices fall back to their original price. Therefore, the more the number of subscribers, the greater the impact they will create on stock price once alert goes out. However, most significant winnings are only realized if the stock behaves exactly how Morris thought it would. But here is the best part; all the picks are accompanied by background information regarding why he chose them so you can rest assured they have the potential to convert. What Makes it Different From Stock Picking Services? To start with, the platform equips you with the necessary information that sends penny stocks higher in a short amount of time. As it turns out, most microcap stock trading newsletters tend to be focused mostly on the charts forgetting that information is what really drives price action in charts. According to this service, chart indicators in most cases are usually not completely effective. In addition to that, with Microcap Millionaires, you will be learning from Matt’s devastating loss and how he is able to avoid massive losses so you can make big winnings with microcap stocks. On top of that, the platform does not need you to spend thousands of your hard earned cash just to get the experience of trading penny stocks successfully. What’s more? The founder of the company gives you a free trial with two picks and one of his most profitable strategies when you sign up. This is designed to give you an idea of what the platform is all about and how it works prior to making a long-term investment. With penny stocks being highly volatile, it is possible to make unnecessary pitfalls while trading – whether you are a seasoned or beginner trader. But with the right guidance, you can easily hit big wins with microcap stocks. This makes Microcap Millionaires a great investment for anyone who’d like to learn how to create wealth from humble investments.